Google Quick Search (QSB) is out for MAC platform (besides existing Windows). Once installed you can search any damn thing on your computer or internet. As you type, it will pop-up suggestions (like Google Suggest) for easy and quick click through to required stuff. 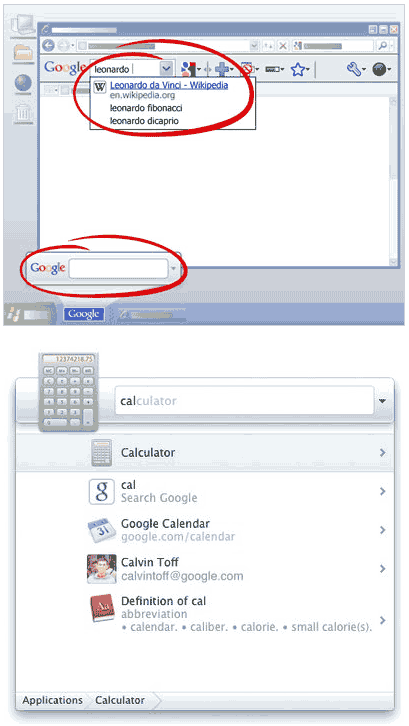 As seen in image below, just type cal to hop over to calculator on the computer.